Japanese release includes the bonus track "Cool Waves"
And there was a "special edition" UK version with just an additional outer slip card sleeve. 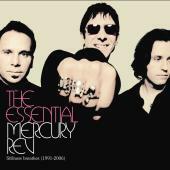 Includes the 3 live tracks from the AID bonus disc. 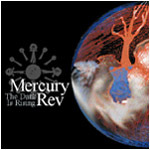 The first single from 'All Is Dream', released on September 24th on V2 Records. In addition to 'Nite And Fog' (LP version), CD1 includes the four-track demo for album track 'A Drop In Time' plus a previously unreleased song, 'Serpentine' (originally recorded prior to 'Deserter's Songs', in 1996). CD2 features 'Cool Waves' (an outtake from the 'All Is Dream' sessions) and an alternate version of 'Nite And Fog' that features boys choir. 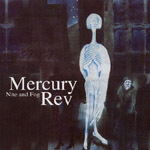 The 7" is backed with the four-track demo version of 'Nite And Fog'. 'Cool Waves' is also the bonus track on Japanese version of All Is Dream. 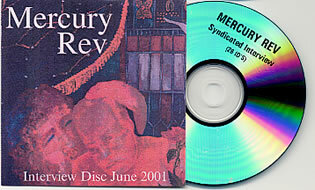 The interview CD is a promo CD-R put out by V2 and dated June 2001. The cover looks like it was printed on a computer and is just a single sheet rather than a a sleeve. 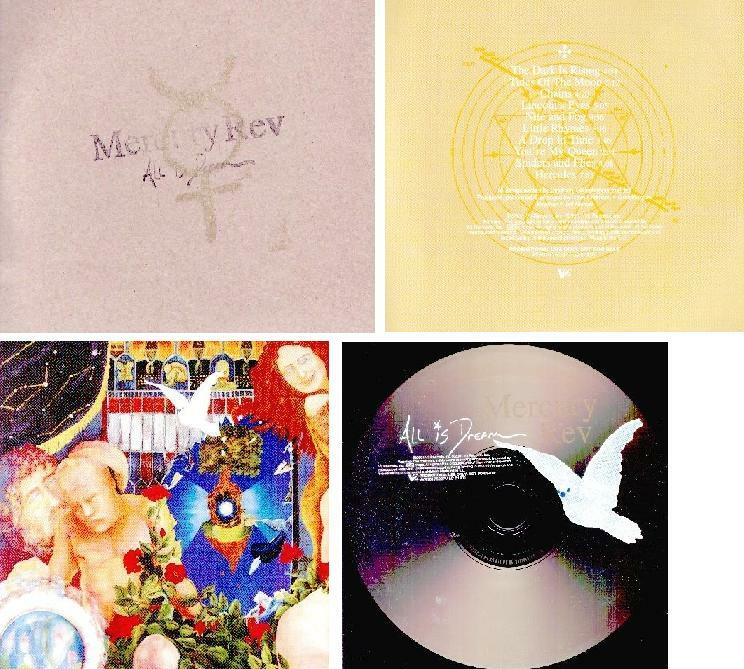 There's also a generic looking wrapping which just says "MERCURY REV Syndicated Interview (28 ID's)" (like on the CD itself) and the V2 logo. It doesn't have a catalogue number. The interview is with Jonathan, Jeff and Grasshopper and consists of just their answers with the questions (presumably) edited out which makes it sound a bit odd to listen to, you have to kind of guess what the question was half the time! They talk about various things such as the release of Yerself, how they were unprepared for working in the music industry at the time of Yerself and Boces, recording All Is Dream, what it's like playing festivals etc. The interview is split into 28 tracks, usually about 2 minutes each, totaling about a half hour. Also includes a picture gallery, and video footage from the recent European tour (four 30 second clips). Unfortunately for North American fans of the band, the DVD is available in PAL format only. 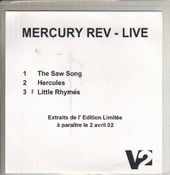 There's a V2 1-track promo CD-R (generic sleeve) with the LP version (4.49). There's a UK 2-track promo CD with "Single Edit" (3.57) and the LP version. And there's another 1-track promo CD-R which has no sleeve and is subtitled "Vocal Down Radio Edit" (3.50). 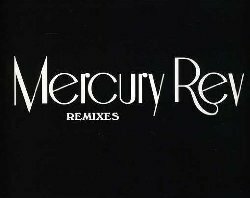 The piano solo at the start is edited so that the singing comes in a lot sooner, similar to the "Single Edit." 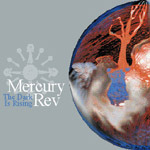 The second single from 'All Is Dream', released on January 7th, 2002. The b-sides are live performances from the recent European tour along with new studio recordings which cover material written by Irving Berlin, Frederic Chopin, and Black Sabbath. 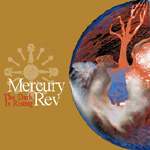 Aside from the lp version of 'The Dark Is Rising', the above tracks feature the current touring line-up of Mercury Rev: Jonathan, Grasshopper, Jeff, Anthony Molina, Paul Dillon and Michael Schirmer. The Chopin piano pieces are played by Anthony Molina. 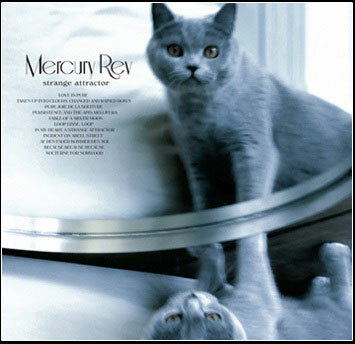 The single, released on July 15th, 2002, includes covers by the likes of John Cale & Captain Beefheart, not to mention peculiar video footage of the band's stomping ground in the Catskill Mountains shot by Jonathan, Grasshopper & Jeff. 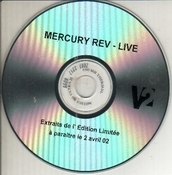 (Unfortunately for North American fans of the band, the DVD is available in PAL format only.) Also featured on the single is 'Streets Of Laredo', best known as one of Marty Robbins' 'Gun Fighter Ballads,' featuring real cowboys. Prior to release of the single, the alternate mix of 'Chains' had been referred to as Peter Stillman mix or String mix. Japanese version includes bonus track "Mirror for a Bell"
Also a 1-track French promo for "Vermillion"
fan review by Paul B.: "Tennessee Blues is a cover of a Bobby Charles song, from his early 70s solo album which was produced by Rick Danko (of The Band). 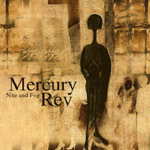 The Rev do a beautifully poised cover of this bluesy ballad, and a great duet with a female voice. 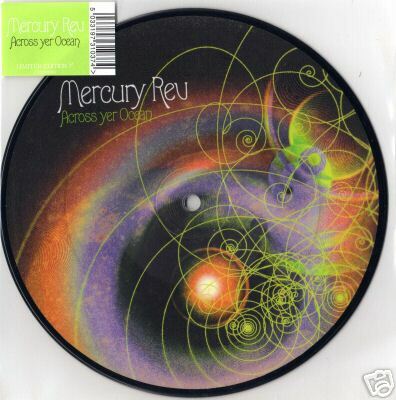 Nice picture disc too." A "best of" collection with a second disc containing various rare tracks, most of which previously available as b-sides or on compilations. 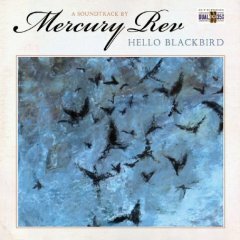 A collection of mostly-instrumental music, originally written and recorded as the original score for the 2006 French film, Bye Bye Blackbird, directed by Robinson Savary. Features two enhanced videos: 'Making Of Hello Blackbird' and 'Grasshopper's Wild Ride'. 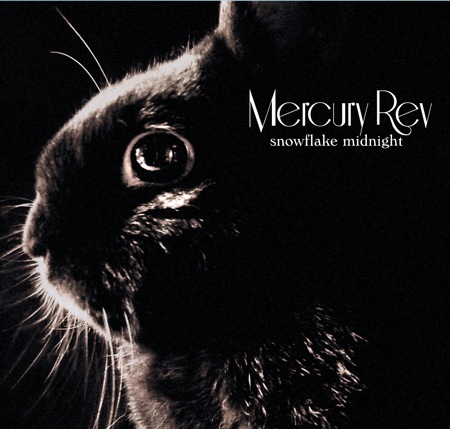 "Veteran space-pop-rockers Mercury Rev release their seventh studio album, 'Snowflake Midnight', after a three-year gap since 2005's 'The Secret Migration'. They retain their nuanced and heavily-produced sound, but with a thematic focus on more worldly subjects than previous records that takes in subtler lyrical constructs and a continuation of the band's development to a more poppy sound. 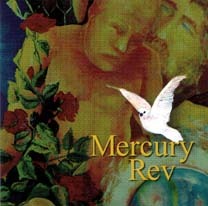 Mercury Rev count among their ranks legendary indie producer Dave Fridmann (on bass since their formation), who has worked with such luminaries as Low and The Flaming Lips and is on production duties here." 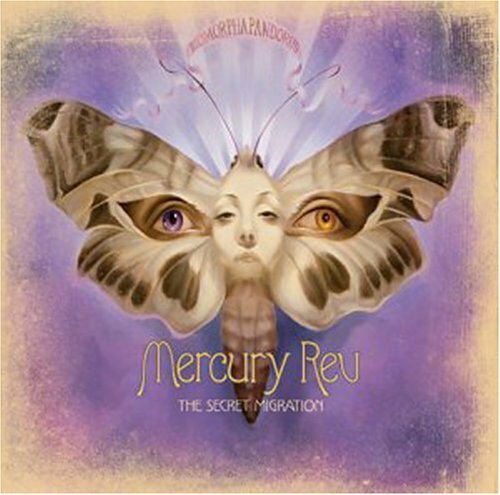 In addition to standard CD release, there are also vinyl versions: a standard 12" and a 2 LP set on 180 gram vinyl. There is an advance CD packaged in a jewel case with back a insert only. 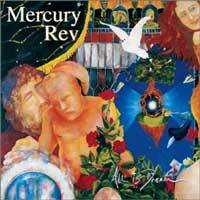 Also released as a Japanese import CD, but no bonus tracks. An instrumental companion album released the same day as Snowflake Midnight, only as a free mp3 download. Also available in the UK on limited edition 12" vinyl. There is a 3-track promo CD version. 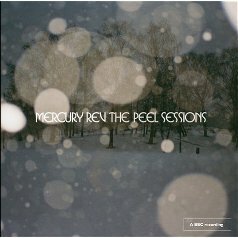 Official CD release of all the band's John Peel Sessions for the BBC. Previously available as b-sides are the entire 1991 session, plus "I Only Have Eyes For You" from '95, and "I Don't Wanna Be A Soldier" and "Observatory Crest" from '99. One song unreleased in any capacity previously is "Gymnopedies 3", a cover of a piano piece by Erik Satie. The liner notes contains recollections from Jonathan Donahue about his time recording for John Peel: ‘we took it so seriously, it was like we were doing an audition for some huge mogul like Clive Davis’.